The highly advanced RCS provides a complete overview of all pumps and valves involved in product transfers and CIP, allowing for centralized, safe operation and efficient diagnostics of valve/pump activation and monitoring throughout the entire plant. as your production needs to grow. 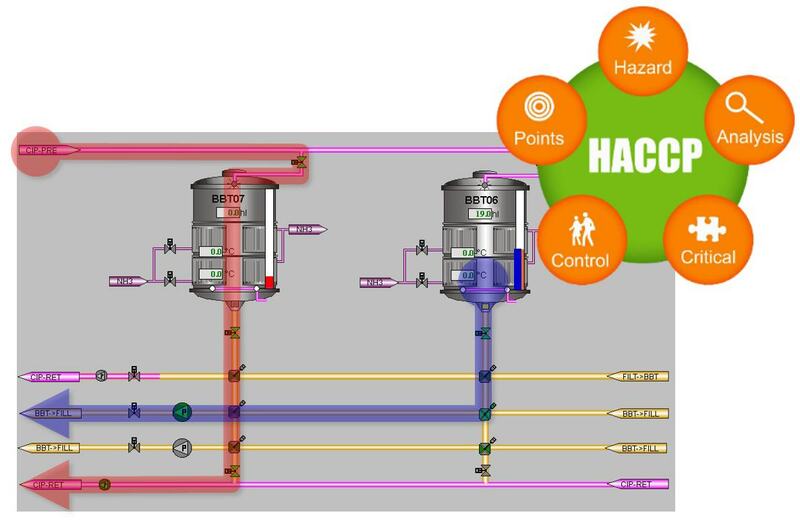 The Route Control System (RCS) was developed for the automation of large or complex piping and transportation routes, such as the ones typically found in silo and tank stations as well as cleaning (CIP) loops. This highly advanced tool provides a complete overview of all pumps and valves involved in these routes, allowing for centralized, safe operation and efficient diagnostics of valve/pump activation and monitoring throughout the entire plant. The Operator just needs to select the source where the product is stored and the destination where it is to be transported to. Optional routing alternatives or vias can be specified to allow for added flexibility. If the RCS finds more than one alternative, then the selection is done based on the shortest available route with the highest priority. Valves or Pumps in manual or maintenance mode will be identified before starting the route, allowing the operator to quickly verify the route’s availability. 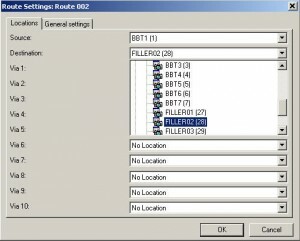 The Route Management System allows creating and testing new routes, fast and easily. The system allows for quick adjustments to changes in production requirements, at any time, without the need to interrupt production. RCS keeps track of the type of material (e.g. product, chemical, water) flowing through the pipe at any given time. Valves isolating the transportation of different types of materials are automatically prevented from opening, which in turn prevents these materials from mixing. Another feature provides an additional level of security, where routes may be interlocked based on material type compatibility. For instance, a given route may be prevented from starting a product transfer, if any of the partial routes involved in the transfer process is dirty or still contains chemicals (e.g. from a running cleaning process). 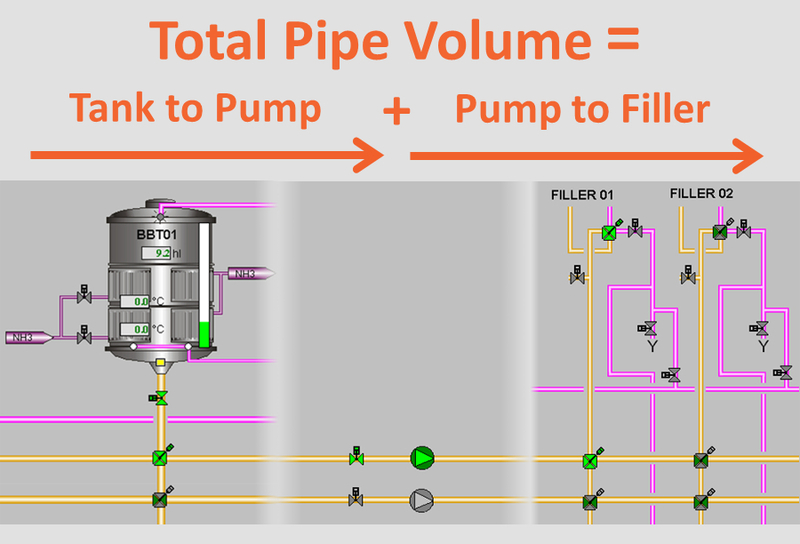 Route parameters such as pipe volumes can be embedded into each partial route, allowing for the calculation of push-out quantities required during the product chase steps. For instance, the volume between Tank BBT01 and the Pump can be embedded into its corresponding partial route; the volume between Tank BBT02 and the Pump can be embedded into its corresponding partial route; and so on. On the other hand, the volume between the Pump and FILLER01 can be embedded into its corresponding partial route, and so on. 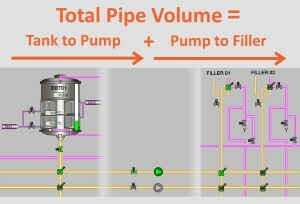 At runtime, if the product transfer takes place between BBT01 and FILLER01, then the corresponding embedded values will be added together to determine the total pipe volume. RCS provides a complete overview of all pumps and valves involved in a route, allowing for centralized, safe operation and efficient diagnostics of valve/pump activation and monitoring throughout the entire plant. Effective maintenance and diagnostic capabilities allow to react promptly in the event of a problem, thus minimizing downtimes and increasing plant availability. RCS uses a standardized user interface with a straightforward operating philosophy. This consistency ensures safe and transparent plant operations throughout the process, while simplifying troubleshooting and diagnostics. Authorized personnel can intervene manually whenever necessary, while clearly defining the responsibility boundaries between automatic and manual operations. RCS features a high degree of fault-tolerance, by providing two fully redundant, hot-standby RCS-Servers. In case one of the servers fails, the other one takes over with no impact on production. RCS-Servers can be used for operation. In case more operator stations are required, additional RCS-Clients can be added. These RCS-Clients access the information from the process via the RCS-Servers. 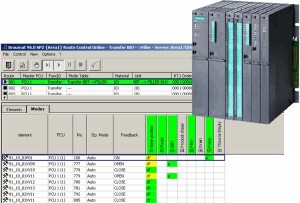 On the other hand, control tasks are carried out by the SIMATIC S7-400 PLCs. 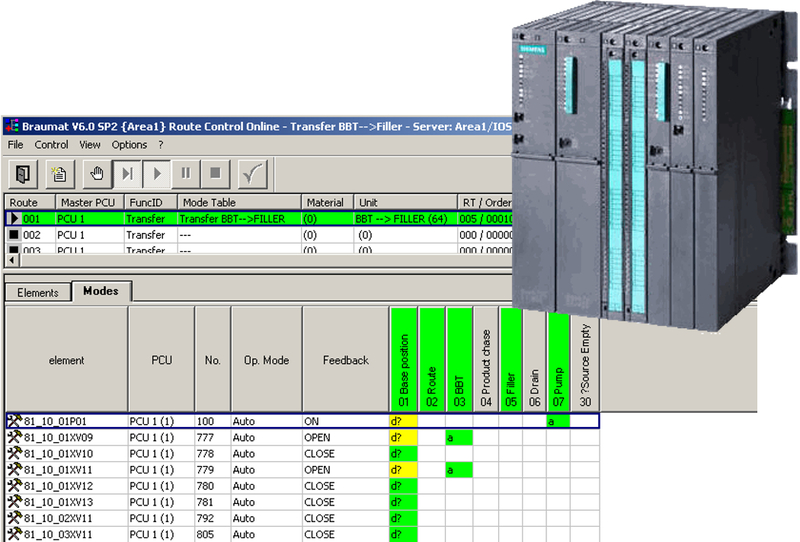 From a process control perspective, RCS-Servers only require connection to the PLC when starting a new route. When a new route is route, it is downloaded into the PLC, after which it runs independently from the RCS-Server. RCS offers the capability to run the route control logic at the PLC level. The fact that RCS uses PLC-Based Control Logic increases software stability and ensures faster control and superior availability. Once downloaded, the route will execute even without the need of the RCS-Server, which is crucial during server maintenance works during a running production. It also provides a totally unproblematic recovery after power outages or system restarts, with no synchronization issues between the PC and the PLC. Finally, the fact that PLCs are robust, industrial machines, designed for speed, makes them less prone to software glitches and ensures a lightning-fast system performance. This is one of the most powerful features of the Route Control System. Route elements, such as valves and pumps, can be incorporated in any route, regardless of the PLC to which they are connected, allowing for plant-wide control across all PLCs from one central location. For instance, if PLC#2 is the one containing the transfer logic, i.e. 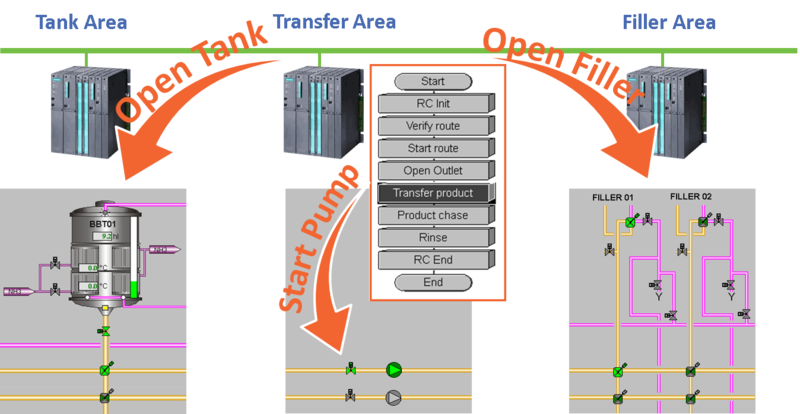 the “brain” that determines the sequence of steps involved in carrying out a product transfer from the Tank Area, via the Transfer Area and into the Filler Area, then PLC#2 will only have to issue functional commands such as “Open Tank Outlet”, “Start Pump” and “Open Filler Inlet” while RCS will take care of activating the corresponding valves and pumps that have been configured behind those functional commands. In this example, PLC#2 is completely unaware of the fact that the outlet valve for tank BBT01 is attached to PLC#1 and the inlet valve of FILLER01 is attached to PLC#3; this is all managed by RCS. And, as if this weren’t impressive enough already, any errors in the route are all reported back to PLC#2, enabling the transfer logic to take immediate corrective actions. Embedded data transmission features allow synchronizing individual processes across networked PLCs. For instance, if PLC#2 is the one containing the transfer logic, i.e. the “brain” that determines the sequence of steps involved in carrying out a product transfer from the Tank Area, via the Transfer Area and into the Filler Area, then PLC#2 can read the contents of the currently selected tank. In other words, RCS automatically “encodes” data (e.g. Tank Level) from the route’s source (e.g. Tank BBT01), making it available to the transfer logic to make important decisions (e.g. end the product transfer when the Tank is empty).